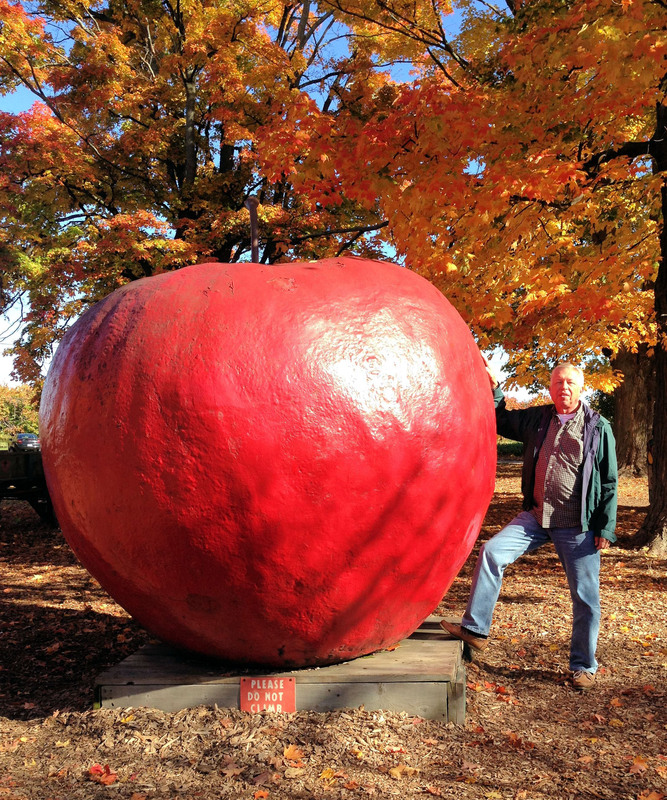 McClure’s Apple Haus Apple – The Home of My "Big Things"
The reason for our visit to McClure’s Apple Haus outside Grand Rapids, Michigan was to get this Big Apple previously sighted by my Bird Dog Erica. What a great place to visit, very family friendly. Pick apples, a corn maze, a bounce place, fresh donuts and cider. This would be my go-to place in the fall if I lived in the Grand Rapids area.